Ultra lightweight and low profile – a junior inflatable lifejacket for children in the age range 8 to 16 years old weighing 20-50 Kgs. An innovation in junior safety, the CENTO is vibrant and exciting, for too many years, junior sailors have been forced to wear bulky, uncomfortable and unattractive lifejackets when out on the water. Updates on MOB prevention and adviceThe Deckvest LITE lifejacket uses a water activated UML Mk5 paper coil inflation system that uses a compressed paper capsule which dissolves when wet, which then releases a spring to puncture the CO2 cylinder. View size guides for the full Deckware range here. 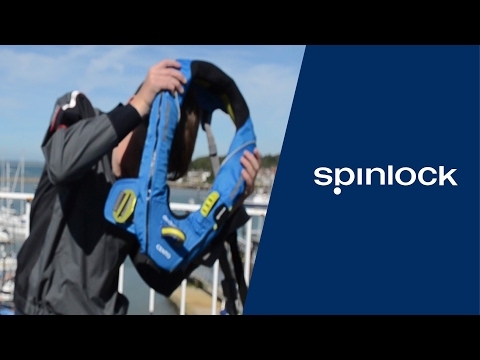 The Deckvest CENTO Junior Lifejacket Harness uses a water activated UML Mk5 paper coil inflation system that uses a compressed paper capsule which dissolves when wet, which then releases a spring to puncture the CO2 cylinder.